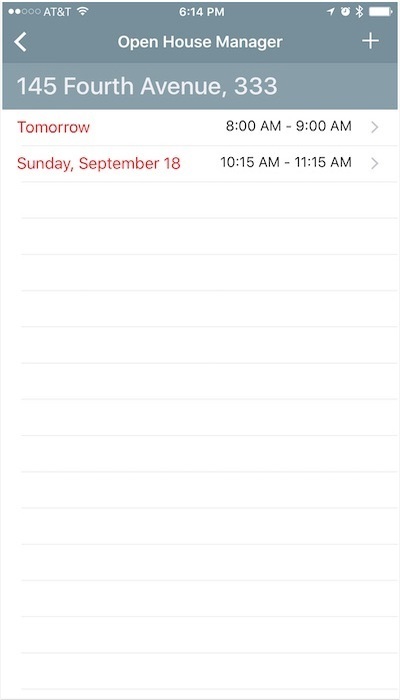 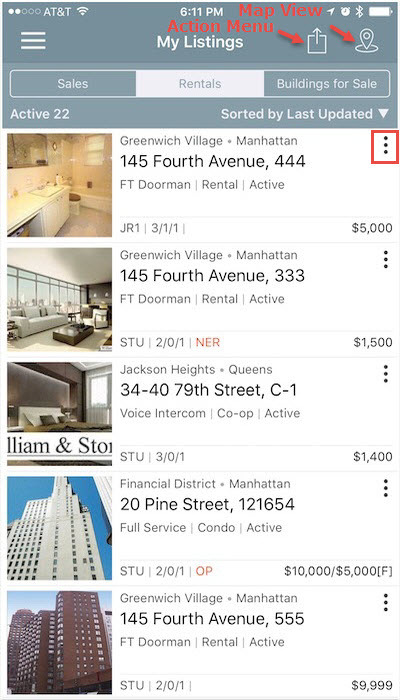 You can access your listings directly from the Home Dash. 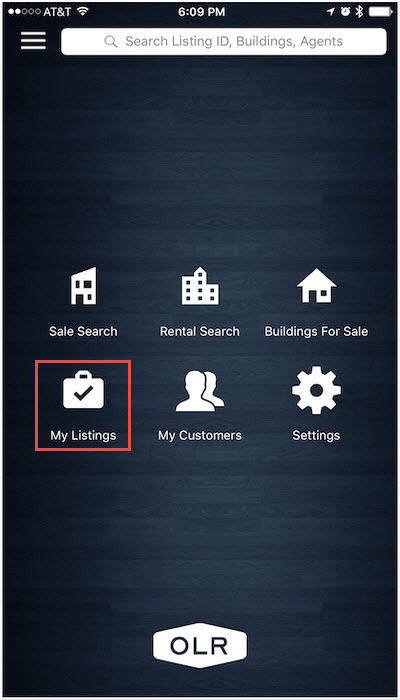 At the top of the page, you can Map your listings, choose different type of listing (Rental, Sale, BFS) or sort your listing by desired criteria. 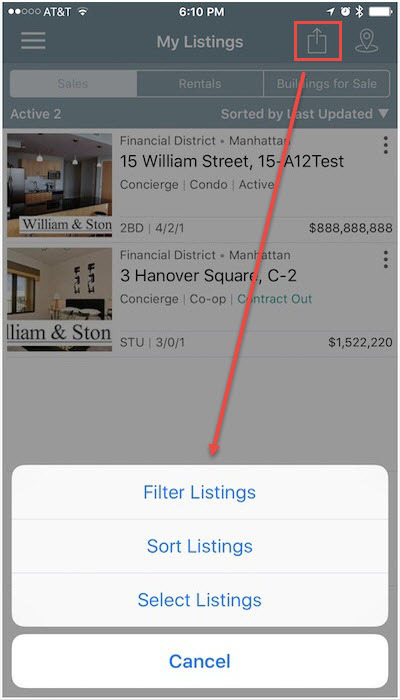 Action menu allows you to Filter listings (Active/Inactive), as well as sort, or Select multiple at the same time. 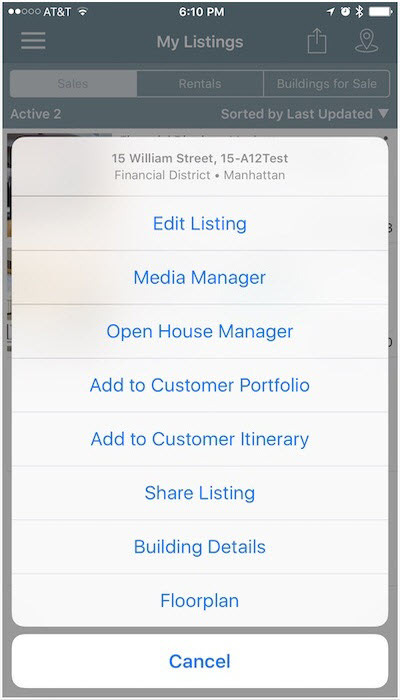 Manage Open Houses: Add or Edit Open Houses for your listing. 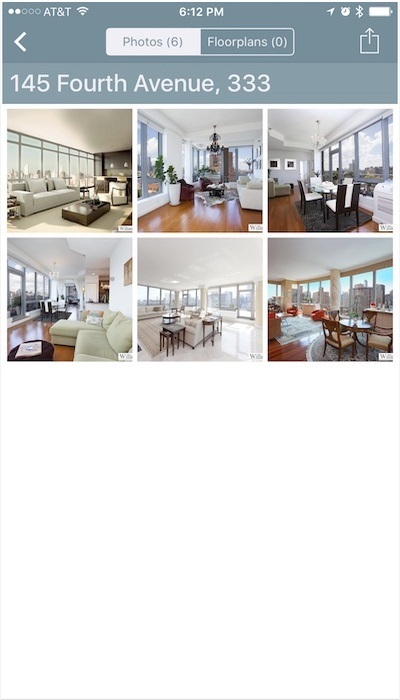 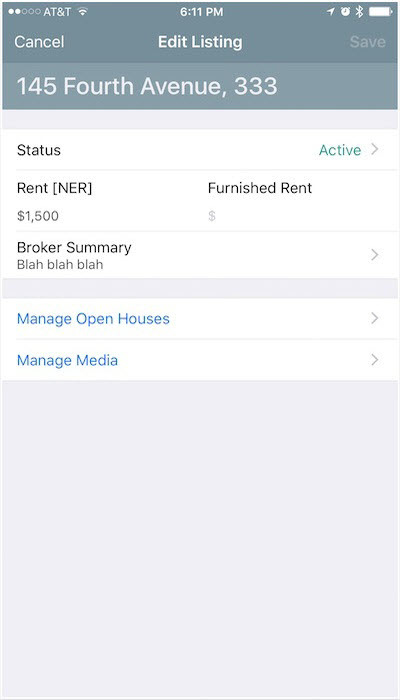 Manage Media: Lets you view and rearrange your listing media, as well as add a picture directly from your device by taking a photo or selecting existing image. 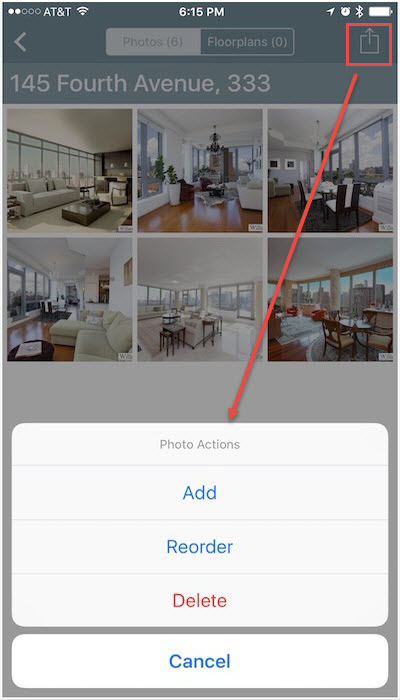 Action button on Media Manager will allow you to Add, Reorder or Delete any photos. 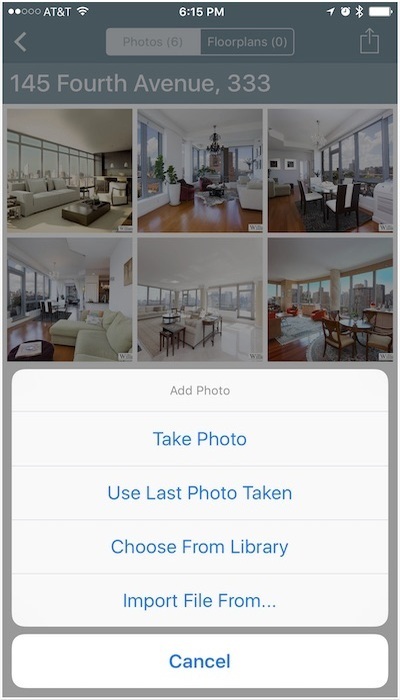 You can Add photos by Taking a picture, using Last Photo Taken, Choosing From Library, or Importing a file.